Once upon a time, a young girl stood in front of the parishioners in a Boston church. She opened her mouth to sing, and a huge voice came out - moving the congregation to tears. At that moment the girl heard the voice of God tell her, "You're gonna be famous." From that time on, the girl knew that she was destined for greatness. That girl grew up to become Donna Summer. Most people know about her hits. Great songs like ’Last Dance’, ‘Hot Stuff’, ‘On The Radio’ and ’She Works Hard For The Money.’ What most people don't know is that Donna started off as Donna Gaines in a rock band called The Crow. And that when the band broke up, she left school to be in the German production of the musical ‘Hair’. Once in Germany, there was no stopping Donna. She was active in musical theater, playing in such shows as ‘Showboat’,’ Porgy And Bess’, and ‘The Me Nobody Knows’, and in 1971 she cut her first solo record, ’Sally Go ‘Round The Roses’. By 1974, and now going by the name Donna Summer, she was doing a great deal of session work which brought her into contact with producers Giorgio Moroder and Pete Bellotte. Together they recorded ’The Hostage’, a song which became Donna's first hit in Europe. An album and a few more European hits followed. Then in 1975, Donna recorded ’Love To Love You Baby’, the song that finally brought her success in America. The rest is history! Since then she has racked up fourteen top ten hits, four number one singles, three platinum albums, five Grammy awards and twelve other Grammy nominations. She is the first female artist to have three number one solo singles in one year (’MacArthur Park’, ‘Hot Stuff’ and ’Bad Girls’) and she is the only artist to have three number one double albums in a row (Live And More, Bad Girls, and On The Radio). Her latest double album The Journey: The Very Best of Donna Summer seems intended to replace and update 1995's single-disc Endless Summer for American consumers. It contains all 14 of the singer's Top Ten pop hits in their short single edits including 1989's ’This Time I Know It's for Real,’ licensed from Atlantic Records. 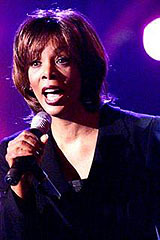 As well as a selection of four of her many other Hot 100 hits, including 1999's ’I Will Go With You (Con Te Partiró),’ licensed from Epic Records. Not to mention that the main disc concludes with two new songs, ’That's The Way’ and ’Dream-a-Lot's Theme (I Will Live for Love),’ produced by Giorgio Moroder, who produced most of Summer's hits of the 1970s and early '80s. The second disc is a bonus disc of extended remixes. Was it always intended to be 17 minutes long?! ”Yep, it was. I mean, Giorgio Moroder had taken the song home and I guess he had used it when he was making love with his wife and had felt like it was too short. He wondered what he could do to the song that if repeated would still be giving you the best part of the song. And he thought that doing that would be great background music for that moment. Like a Barry White song, so he wanted to go for the female version of that." You’ve been labeled down the years as the ‘Ultimate Disco Diva’ and the ‘Queen of Disco,’ but is that something that still puts a smile on your face? ”Yeah, it puts a smile on my face because I think that it’s cute and I don’t take offence to it. I just don’t want it to hinder me from being anything else … because when a Queen takes over other properties she becomes an Emperess! So, I’m now the Emperess of my own self. The ‘Queen of Diva’ is now what they call me actually,” she laughs. 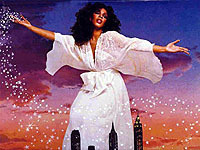 Will there be a new Donna Summer album any time soon? ”Well, I have other recorded songs, but I didn’t want to just throw them out there as they really weren’t ready yet. So, I pray to God there will be. I’ve got plenty of songs. I’ve got anywhere from 40 to 50 songs of co-writes and different songs that I want to record. So, there’s plenty to draw from,” she laughs. 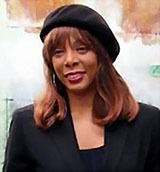 Interviewed by Rusty Trunk – as per the wishes of Ms. Donna Summer herself!